Content writing is one of the most important facets of On-page SEO. 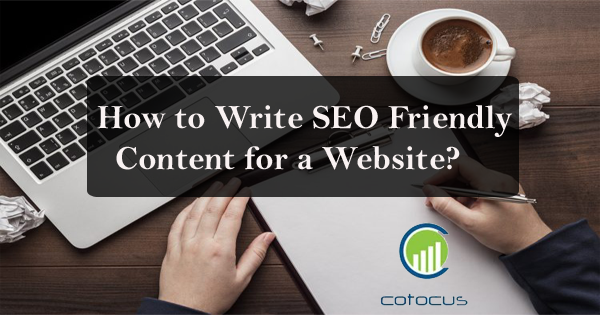 Nowadays, the concept of writing SEO friendly content has changed drastically and become hard too. In today’s time, really It’s very difficult to find a good candidate who writes good content for SEO friendly. Always Good content improves the chances of visibility in search engines surely. So, I planned to put some light on “Tips to How to write SEO Friendly Content”. 1. Unique Content Attracts more Visitors – Unique content gives the sign that visitors are interested in your content and also spend own time there. Then traffic automatic increase on your website. 2. Create Eye-Catchy Headlines – One thing remembers that always write Eye-Catchy Headlines. An effective headline has a long-lasting impression on readers mind. 3. Emphasize On the Keywords – One of the radically important tip for writing SEO friendly content is the work on Keywords. Keywords are used in an article or blog, for higher ranking in the search engines. 4. Avoid Keyword Stuffing – Many SEO experts consider the optimum keyword density to be 2 to 3 percent, it means if you have an article of 500 words then you can use 2 to 3 %. 5. Create Effective Meta Tags – A SEO content writer is responsible to prepare Meta information for his or her article too. Meta tags are a special kind of information that is very useful for search engines. If you follow all the above-mentioned points, your content will become SEO Friendly. And the search engine will notice your website and bring it to the top rank.